Marketing is an important function of management. The word ‘marketing’ means very different things to different people in different industries. In simple terms Marketing is how an organization or individual sells its product or service. 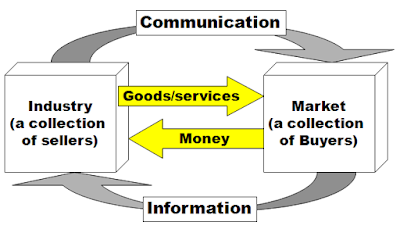 Marketing refer as a system of business activities designed to plan, price, promote and distribute want satisfying goods and services to target markets, in order to achieve organizational objectives. Select specific segments of the market that are of the most interest to you and your organization on the basis of size and need of the market. Solicit feedback from the customer about how your product or service could be improved to meet the customers’ needs even better.